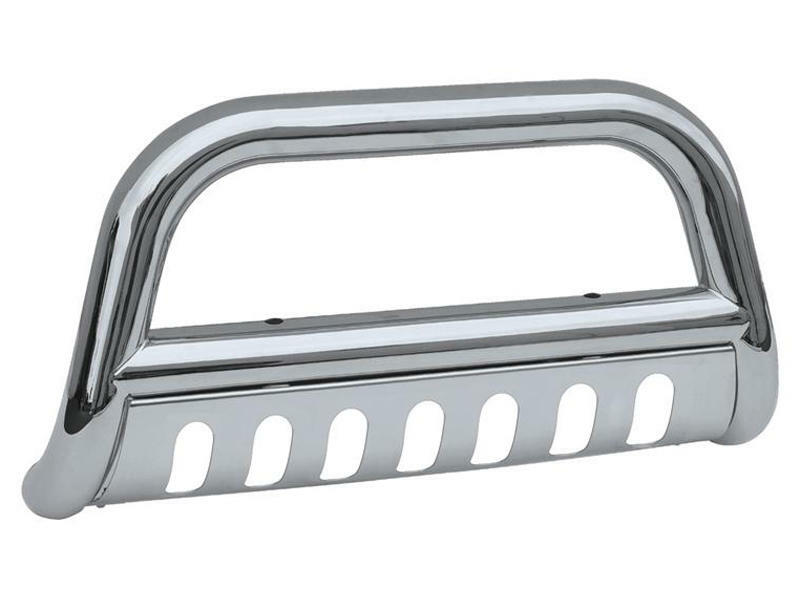 Polished stainless steel Bull Bar with integrated skid plate features 3 inch diameter hoop and cross bar to help protect front end of vehicle. Pre-drilled cross bar for lights (not included) and no-drill installation make these Bull Bars the perfect match of good looks and functionality. CLICK HERE for the complete list of vehicles that this product is designed to fit.